Public/private initiative to end homelessness in Tucson. The member-driven coalition asked LP&G to aid in outreach and get the word out. 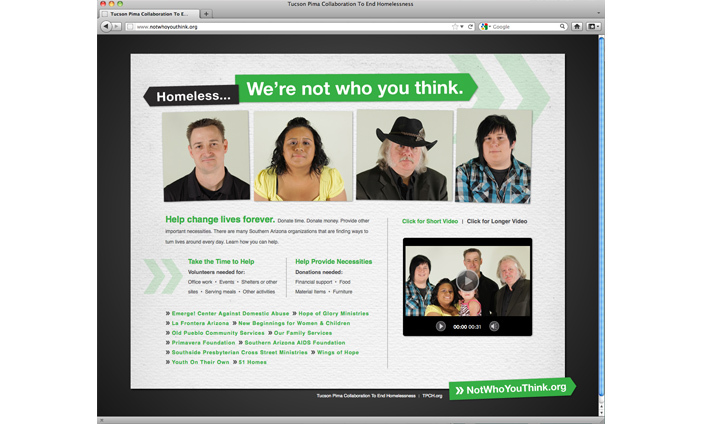 Our "We're not who you think" campaign put human stories to faces.